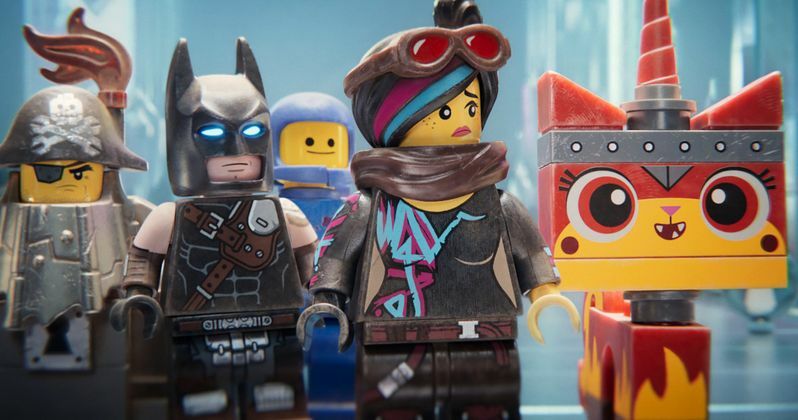 The LEGO Movie 2: The Second Part was supposed to be the movie that helped kickstart the 2019 box office boom. The sequel was initially on track to bring in $50+ million domestically, but that did not end up happening. Instead, the movie brought in $34.4 million, which was still more than enough to take the number one spot this weekend. The domestic box office is now trailing over 14% when compared to last year's numbers. Additionally, LEGO Movie 2 is one of the weaker debuts in the franchise's history. What Men Want is the gender-swapped remake of Nancy Meyers' 2000 What Women Want and it was able to pull the second spot this weekend, having brought in $19 million. The comedy, which reportedly cost $20 million to make is well on its way to making its money back in North America. Coming in at number three this weekend is Liam Neeson's dark comedy Cold Pursuit with $10.8 million. Neeson recently found himself in some hot water over some alleged racist remarks, but that did not slow down the debut of his latest revenge thriller. Kevin Hart and Bryan Cranston's The Upside continues its box office success with $7.2 million, which was more than enough to take the number four spot this weekend. The comedy has been getting praise and is expected to make some more dough in the coming weeks. M. Night Shyamalan's Glass took a fall from its three weeks at number one to number five this weekend, having only brought in $6.4 million. While the movie has been getting mixed reviews, it already made its money back and is considered to be a success for the director. Aquaman took a pretty decent tumble this weekend, which was expected. The DC movie has crossed the $1.1 billion mark globally and was only able to bring in $3.3 million domestically this weekend, which earned the number eight spot. Spider-Man: Into The Spider-Verse took the number nine position after bringing in $3 Million and Miss Bala followed closely behind to take the tenth spot, having earned $2.7 Million. You can read up on the rest of this weekend's numbers over at Box Office Mojo.